Trey Mallory continued competing in the Wadadli Bowl in Antigua & Barbuda. Playing in the Men’s Singles Semi-Final, Mallory went down in a three set battle against Fonseca De Souza from Brazil. De Souza the seventh seed won the first set 6-3, but Mallory would level the match winning the second set 6-4, but De Souza would then win the match winning the third set 6-1. 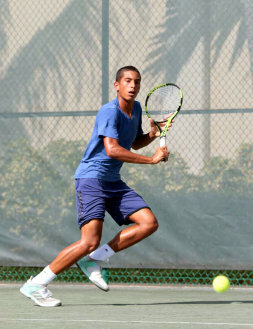 Mallory would then team up with Philippe Mercelina from the Netherlands and they took on the number two seeds Russell Armstrong from the British Virgin Islands and DeSouza in the Men’s Doubles Final. Mallory and Mercelina would claim the title winning the Final in straight sets 6-4, 7-6.